This is so untimely it's almost ridiculous, but I just discovered these matrioshka dolls through AnOther, so indulge me. 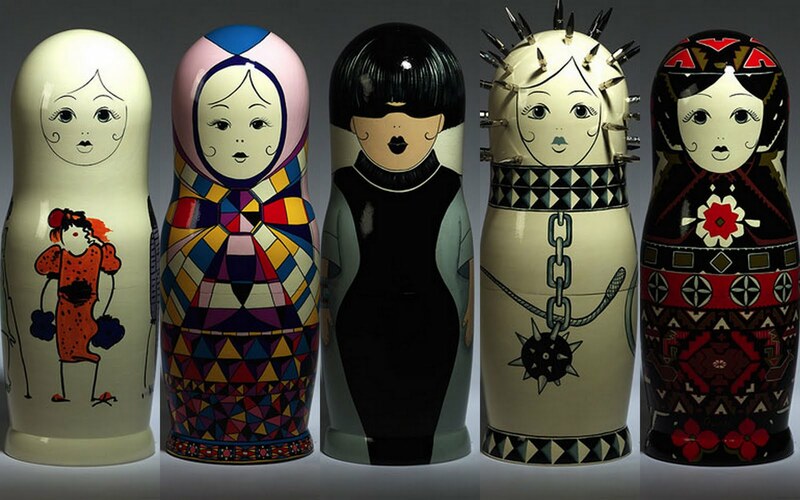 Back in 2008, 31 of the biggest names in fashion were asked to design costumes for the traditional Russian dolls in celebration of Vogue Russia's 10th anniversary. 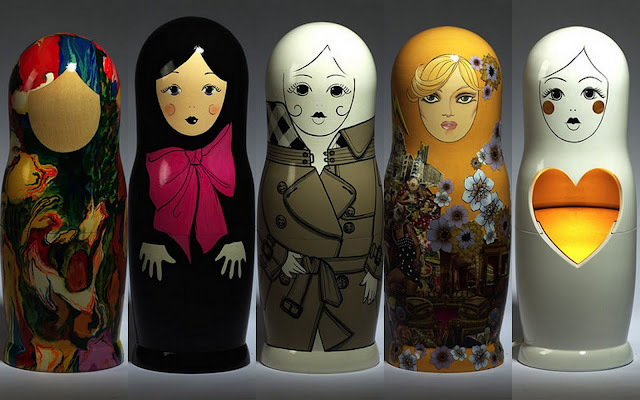 Can you recognize any of the designers by their dolls? Answers after the jump. Clockwise from top left: Dries Van Noten, Marc Jacobs, Burberry, Versace, Moschino, Gucci, Giles, Yves Saint Laurnet, Emilio Pucci, Sonia Rykiel. You can see a gallery of all the dolls here. And, in more recent news, I'm excited to be included in Be @ Home's Best of the Web this week! Be sure to check it out.